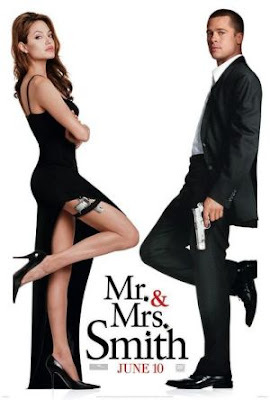 SPECTREOUTREACH.com: Mr & Mrs Smith! For the past few week, RTM 2 now *rebranded as TV2* the entertainment channel and is going to show Mr and Mrs. Smith this weekend ( Saturday, 10 pm). YIPPE! Just keep your eyes peel wide and open as Brad Pitt and Angelina Jolie is blasting their relationship with guns and more guns. Nothing beat the adrenaline rush and action as the pair which works as highly paid and skilled assassins but for different Boss until the day where they are outsourced to K.O each other out! If you want to find out how the things and the heart pumping action turns out in the end . See how the real~life husband-wife with deadly chemistry on screen really provide insight how things can turn very ugly in a relationship. 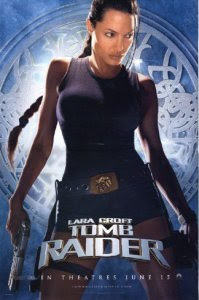 Remember the Tomb Raider movies that she acted before? ^^! "Jolie is emerging as one of the great wild spirits of current movies, a loose cannon who somehow has deadly aim. "~ Roger Ebert, a prominent American film critic and screen writer. Just perfect for the role of EVE ^^! 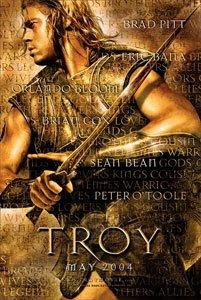 Brad Pitt,Voted Sexiest Man Alive by People magazine in 1995 and 2000 plus "been cited as one of the world's most attractive men and his off-screen life is widely reported" which make him the leading choice for JACK! PS: Plus since they are real life couple, it make more sense to cast them both in the LaMb the movie following the success of Mr & Mrs Smith worldwide. By the way this is my answer for second topic "If a live action movie of LaMB was to be produced, who would you like to see play the starring roles of Eve and Jack and why?" 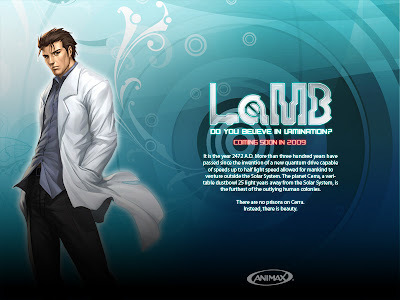 posted by the LaMb contest.